Handmade Resin Earrings. Octopus. Vintage Style. Dangle Drop Earrings. Surgical Steel. Gift For Her. 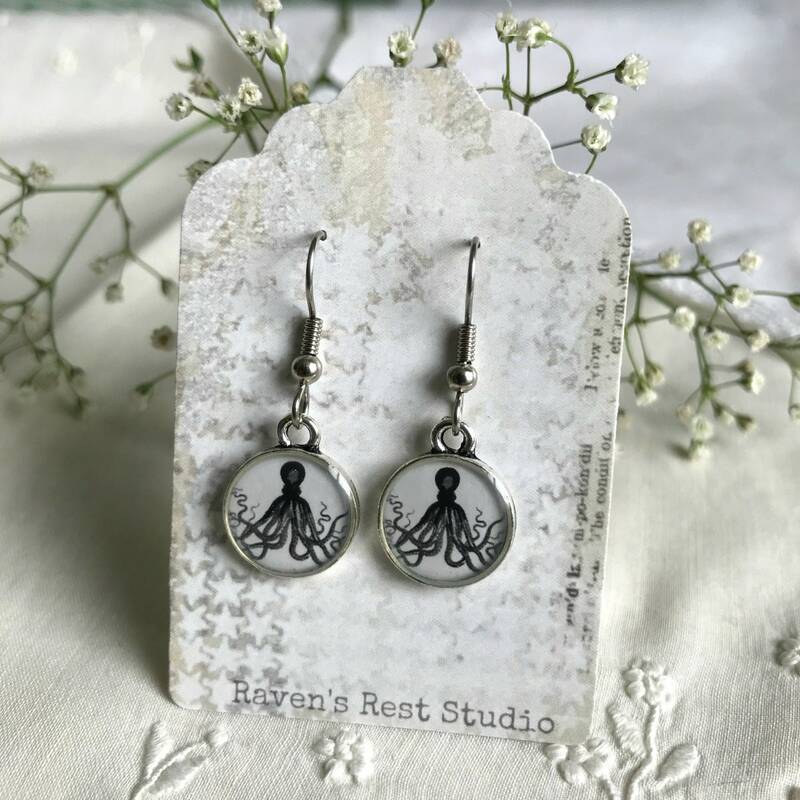 Cute Octopus Earrings. This set features a pair of fun octopus! Such lovely, carefully crafted earrings. These made a wonderful gift for my cephalopod loving gf. Thanks!